This is great! 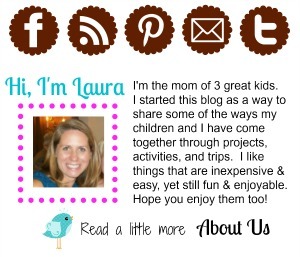 Will you post it on my link party for Created for Christmas? I think others would like to see this. 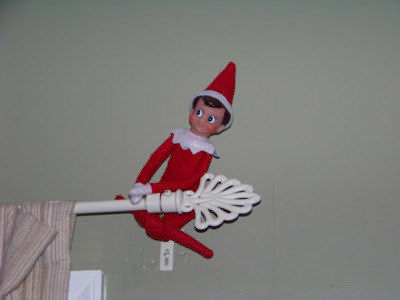 I can't wait for our elf to come out. I looked for the girl when i bought ours last yr. so we have the boy, i did make him a tutu this yr so he could play dress up one day HA! He drew on things last yr, left messages in the mirror and emptied my dd's dresser. Thankfully she wasn't mad and picked it up laughing. Im going to have fun this yr. I saw these last year and thought they were genius, but then thought that maybe my kids might be too old for it. So when I saw some small mice at a local store recently, I mentioned them to my hubby who went back and picked them up for me. We now have a "mouse about the house" as I like to call it. I move them around and let the kids know the mice are watching them. I love them and think it's a great tradition. 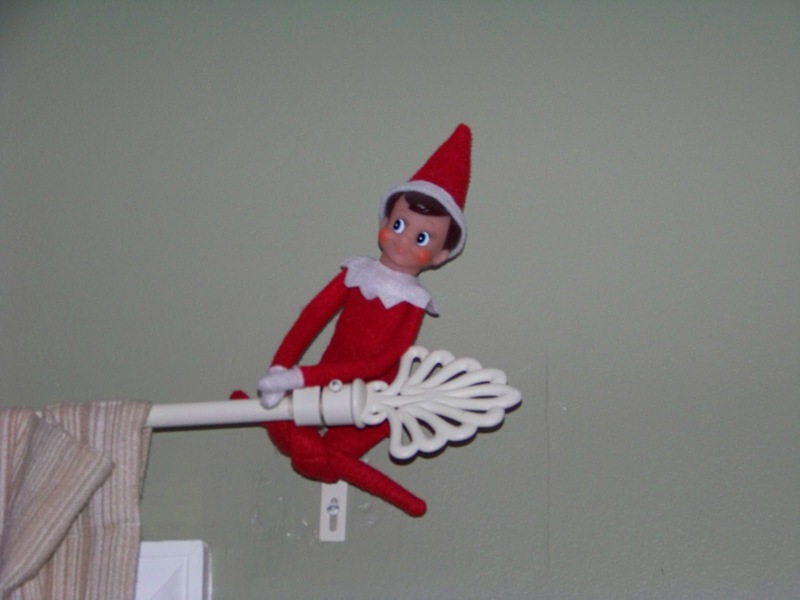 Have you seen some of the posts of the elf's on pinterest? It's funny to see where they end up! 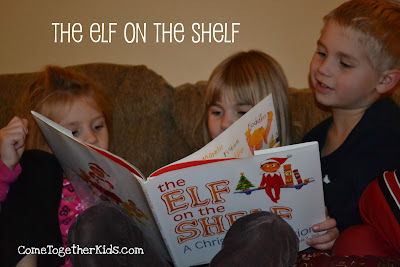 We don't have an elf on the shelf but I have blogged about them and have seen some fabulous ideas on places to hide them on Pinterest. Hope you have fun finding places for him to hide this year! I have posted about a few of my favourite Christmas pins on my blog so if you have 5 Minutes to spare please pop by! I have the same EOTS as you (the one at the top)!!! But I didn't know there was a book!!!! 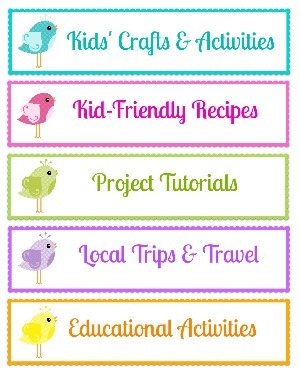 I have found SO many ideas on Pinterest! I love this book but never remember to do anything with it until Christmas is over. Thanks for the reminder and the links place for elf ideas. I'm so glad you explained this! I saw the elves on pinterest & wondered about it. Looks like a fun tradition to start! What a lovely idea! Do you think the elf would sit on a classroom shelf too? I am already wondering how I could use this with my second graders! Oh absolutely, Karen!! I wish I'd have found out about him while I was still teaching first grade ~ the kids would have gotten such a huge kick out of it and the possibilities that he would do fun little things in the classroom (writing on the chalkboard, etc.) are endless! Oh yes we have an elf! His name is Mr Gribbles. He doesn't like our dad lol. One time he bonked him on the head when he was hiding in the overhead compartment in the truck LOL. And another time the kids found him scattering the cats food all over the laundry room! He's a mischevious little elf! Please come link this to my VIP party this weekend http://designergarden.blogspot.com/2011/10/vip-party-34.html and have a Happy Halloween! This sounds like so much fun! I've never heard of it before. I think I'll have to get one. how wonderful! never heard of it but love the idea, and wondering if I can think of a variation that's free! THANK YOU! Our elf likes to fish. He magically appears in the kitchen holding a pencil that has dental floss tied to one end and a goldfish cracker to the other end. He usually is fishing out of a small bowl full of colorful goldfish. My kids love this one. good for all the tools like Mac as well as windows laptop computer, ishareitdownload Click on the Shareit apple iphone app in the detailed outcomes. best. good in a great deal to the Android users to produce VivaVideo APK on all the mobile phones like HTC, Samsung Galaxy S7, best. http://nuocsinhhoat.com/nuoc-ion-life-la-gi.html nước ion life là gì? this remarkable app for Android tools yet. Hence, there is no main version tutuhelperr.com Tutuapp is originally easily accessible in a Chinese language. This is a gambling game that is popular among gamblers. It is a gambling game that makes money for the players who come to play gambling games of our online casino is open. Items that children invent themselves. It is a memorable work.